This was an impulse purchase in Waterstones and after I got home I read this in a couple of hours and have since read it again. A very nice little book. 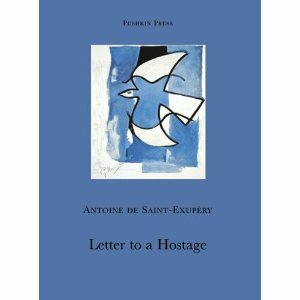 I read everything by Saint-Exupery almost thirteen years ago and thought there was nothing else to read. Finding this book was a very pleasant surprise and reminded me of why I liked him so much. Saint-Exupery is contemplative but also with a lust for life; he was a man of action in his aviation endeavours as well as a poet and a deep thinker. I use the term ‘poet’ because his writing really is very lyrical and I am reminded of Bruno Schultz who I have only read in the last few years. As to what the text is about: Saint-Exupery ruminates and many different things but they all fall under the umbrella of friendship. In fairness it would be better to read the book rather than have me do a disservice by summarising them all. This book, based on the 70s BBC TV series, is used as a text in many art schools around the UK. There was an article by Berger on Mayakovsky in ‘Night Wraps the Sky’ which was good so I thought I should read this small book. Publicity turns consumption into a substitute for democracy. The word publicity can probably be replaced by ‘marketing’. There are many excellent ideas and analogies throughout. Berger also has a very real consideration for the working people and how they are marginalised by the artistic establishment and controlled by publicity and capitalism. This isn’t middle-class navel gazing and posturing without regard for the majority – the working population. 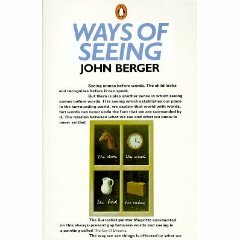 The upshot is that if you haven’t read Berger, as I had not, then this book is a very good introduction to some of his ideas which I believe are developed more fully over the next forty years in numerous fiction and non-fiction works. I will start to concern myself with some of these and they will doubtless be posted.